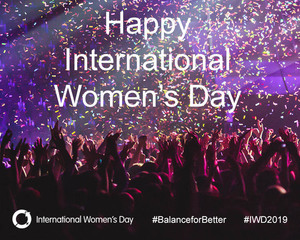 The International Women's Day 2019 campaign theme of #BalanceforBetter is a call-to-action for driving gender balance across the world. How will you help make a difference? Right now is a great and important time in history to do everything possible to help forge a more gender-balanced world. Women have come a long way, yet there's still more to be achieved. From grassroots activism to worldwide action, we are entering an exciting period of history where the world expects balance. We notice its absence and celebrate its presence. As the world celebrates International Women's Day, activity is underway celebrating women's achievements and tenaciously challenging bias. Watch and share the fabulous International Women's Day videos to celebrate the day.